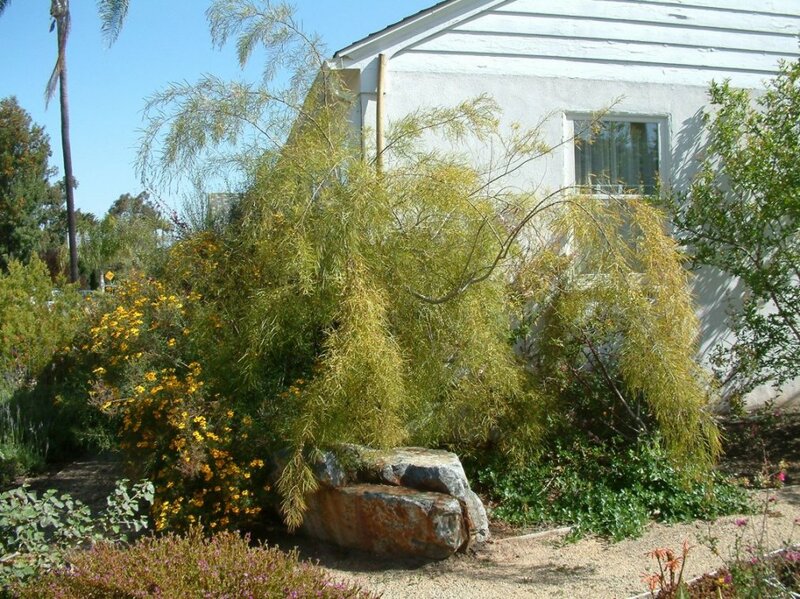 This is a small graceful weeping tree which grows from 20' to 30' in height. The leaves are narrow and pendulous. It bears yellow puffy flowers in spring. It reguires well-draining soil. It needs protection from sea winds or hot inland valley sun. Sticky Monkey Flower is a drought tolerant evergreen shrub 4' tall with numerous, orangish yellow flowers in spring and summer. It is a California native that attracts hummingbirds in abundance. This shrub can be found on the dry hills and canyon slopes in the Sierra Nevada foothills and the central Coast Ranges.